Hip Hop has long served as the voice of the disenfranchised and few groups have lived up to this as much as Public Enemy and NWA. Now the pioneering groups and their impact on music are being recognised. Both have been nominated to be inducted into the Rock and Roll Hall of Fame. The official votes will be cast by artists, industry experts and music historians decide with the ceremony taking place on April 18 in Los Angeles. 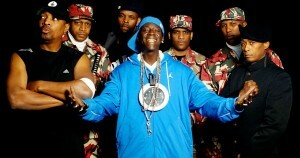 Public Enemy and NWA are joining fellow pioneering nominees such as the late Donna Summer, Rush and Deep Purple. We personally can’t wait to hear Flavor Flav’s acceptance speech, if selected.